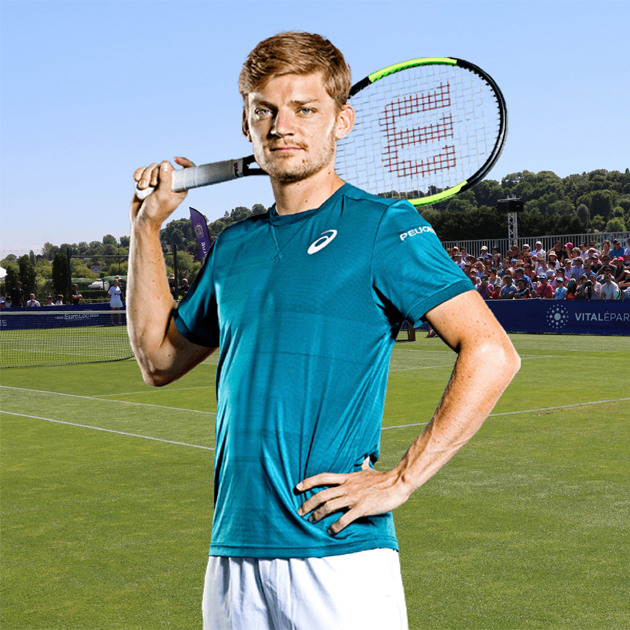 For the Open Deauville Trouville, from June 13th to 16th 2018, David Goffin, member of the top 10 (currently n. 10) and ranked n.7 in the world in November 2017, will train –after the Roland-Garros – on the grass courts of the Lawn Tennis Club Deauville Normandie and will try to win the third edition of the Open. The Belgian Goffin, 1st member of the top 10 to play in the grass courts of the Lawn Tennis Club, recently stood out extraordinarily ending the 2017 season. In particular, he reached the masters’ final and beat Rafaël Nadal and Roger Federer, world's n.1 and n.2. But he lost the final match of the Coupe Davis against France, despite his victories in singles matches against Lucas Pouille and... Jo-Wilfried Tsonga. Among the other players of the tournament, there’s a young retiree of the ATP circuit, Paul-Henri Mathieu (formerly ranked n.12 in the world), a player known for his fighting spirit on the tennis courts and the Dantean matches at the Roland Garros. He is accompanied by a regular visitor of the Open and winner of its first edition, Edouard Roger-Vasselin (formerly ranked n. 35 in the world), who will try to regain his trophy. The last known player of the 2018 edition is Michaël Llodra himself. Injured last year, right before the tournament, he can now let people enjoy his style based on volleys, as effective on grass… 4 more players will come to complete this plateau. Their names will be revealed soon.